Last week my work schedule allowed me to shadow Ashley as she performed dental prophylaxis on a patient Ashley is one of our Registered Animal Health Technicians who works in the treatment area here at Mill Bay Vet. Dixie, a nine-year-old Shih-Tzu cross was in our hospital for the day to have a dental performed. All of the surgical patients have their heart rate, respiratory rate, temperature and weight checked before being prepared for surgery. Pre-anesthetic blood work is done on some surgical patients; we are pleased to have an in-house lab that delivers quick results. When it was Dixie’s turn, she was taken from the kennel so bloodwork could be done. The veterinarian had recommended to Dixie’s mom that she should have pre-anesthetic bloodwork done as she was a geriatric patient and checking her organ functions before undergoing anesthetic would be a safe way to proceed. The veterinarian scheduled in surgery had a look at the bloodwork to determine if Dixie was feeling well enough to be anesthetized. If an animal’s blood work shows irregularities, the surgery may need to be postponed until the issues are well managed. Her blood work was excellent! Time to begin, start by giving an injection for sedation then setting an emergency IV access. The IV catheter is then placed in a front leg and is used for drug administration and IV fluids. The IV fluids support the animals blood pressure, replaces lost fluids and keeps patients hydrated during the day. Short-acting anesthetic drugs are administered through the IV catheter, then the technicians intubate her and move her to the dental station where she is hooked up to the anesthetic machine. Dixie will inhale the anesthetic needed to keep her asleep during the procedure. As her body regulates to the anesthetic, she was placed on an electric heating pad while a total temperature management system (called the Bair Hugger) blows warm air on top of her body. She was also wrapped snugly in a towel to keep the heat in. Her heart rate, blood pressure and temperature are taken regularly to ensure her safety while under anesthetic. A doppler is placed on a foot to create an audible heartbeat, now Ashley can monitor her heart rate during the procedure. Ashley starts by examining her mouth with a dental probe, checking for gingival recession & pocketing that may occur around the teeth. She considers one side of the mouth and records her findings. I can hear the high pitched sound of the ultrasonic scaler as she turns to activate it. For a moment I am transported to my dentist office, reliving my last scale and polish. Ashley flashes me a smile as I lean in to watch her begin to scale the teeth. The scaler easily removes the plaque and tartar build-up on the teeth. It was neat to watch the transformation from dirty teeth to clean ones. None of Dixie’s teeth needed to be removed from either side of her mouth. Some dogs and cats are not so lucky and will require teeth extracted. If extractions need to happen, the veterinarian will remove the teeth. 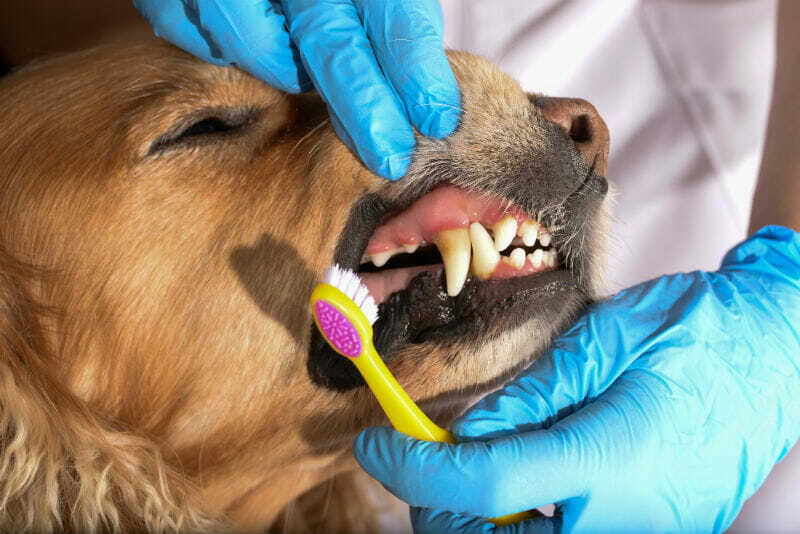 Brushing your pet’s teeth can help prevent periodontal disease. Dental chews/ treats and dental diets are helpful as well as they are designed in order to avoid tartar, plaque and gingivitis. Once one side of her mouth had been scaled and polished (with mint prophy paste! ), she was gently rotated to expose the other side of her mouth and the procedure was repeated. When both sides of her mouth were gleaming, it was time to be taken off the anesthetic machine so she can begin to wake up slowly. She was gently transferred back to the kennel in the treatment area so she could be monitored for the afternoon. 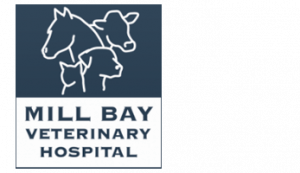 We all have specific jobs to do here at Mill Bay Vet, working hard as a team to make our hospital function smoothly, creating the best patient care we can. Watching Ashley work her dental magic, I felt immersed in a technicians world and satisfied to be able to be a part it all.